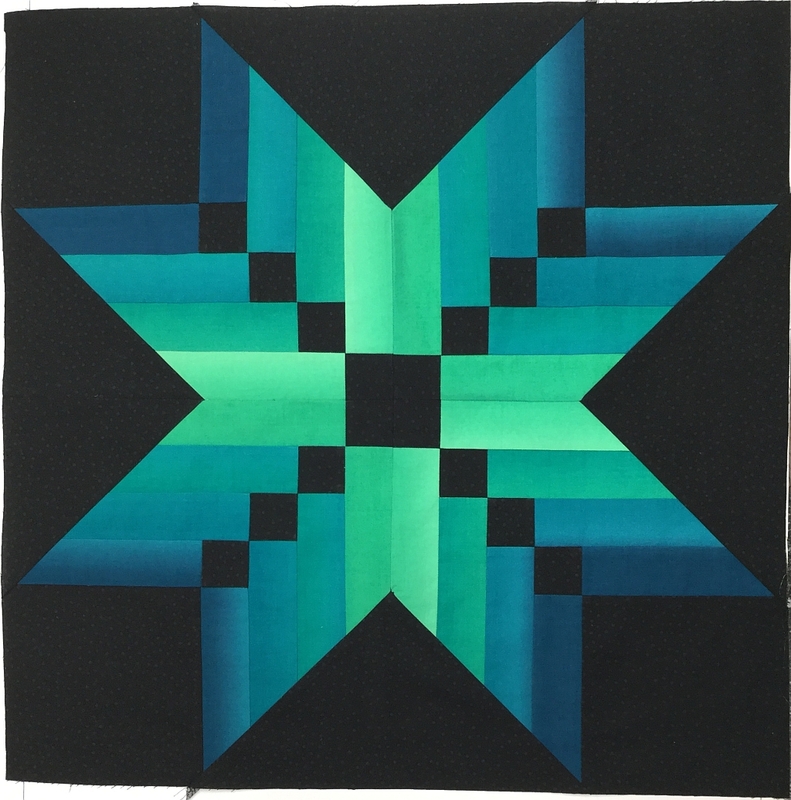 6/15/17 - The 2017 Carbon County Fair Quilt Block Contest is here! 9 new batiks with stunning patterns and fantastic colors which really pop. Stop by the shop and see them today! You can view the individual fabrics in this collection on our website by clicking the picture above or by clicking HERE. 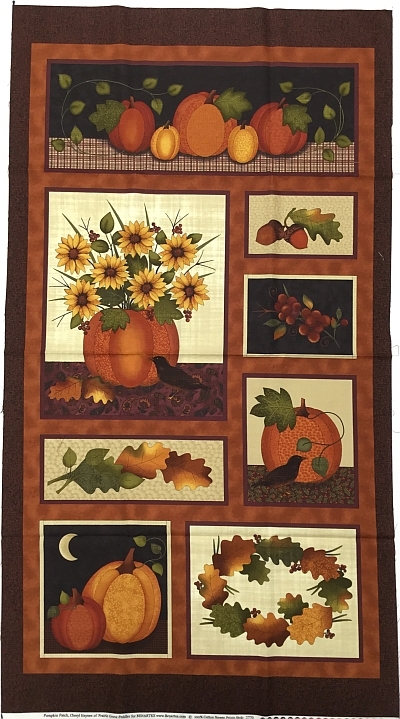 Cheryl designed this colorful pumpkin panel and coordinates with a fun twist - a tiny black crow is mixed in with the pumpkins and sunflowers. Use the panel “as is” or cut it apart for smaller projects. The entire effect is warm and charming and is a great way to celebrate the season. 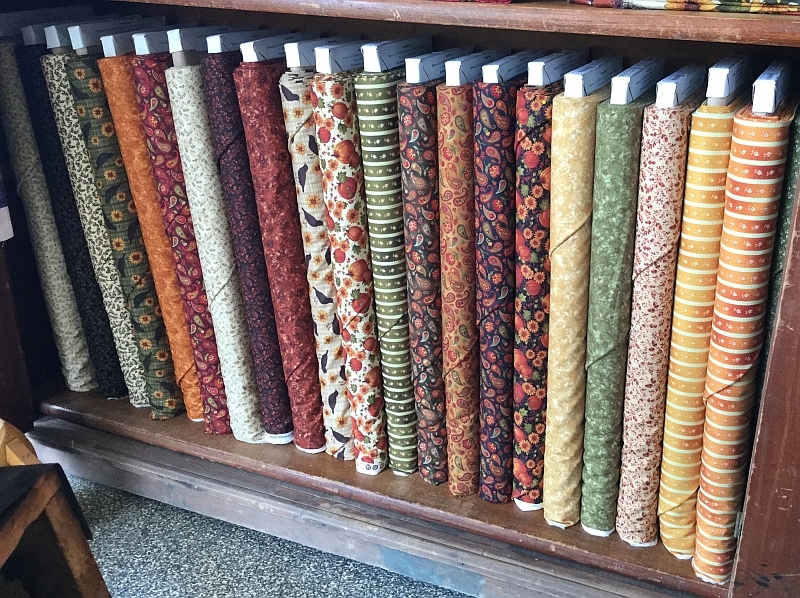 You can view all 28 fabrics in this collection on our website by clicking any picture above or by clicking HERE. NOTE: There is still one space open for this this class on Saturday. Don't miss out! To visit the Class page on our website, click on either picture above or clickHERE. 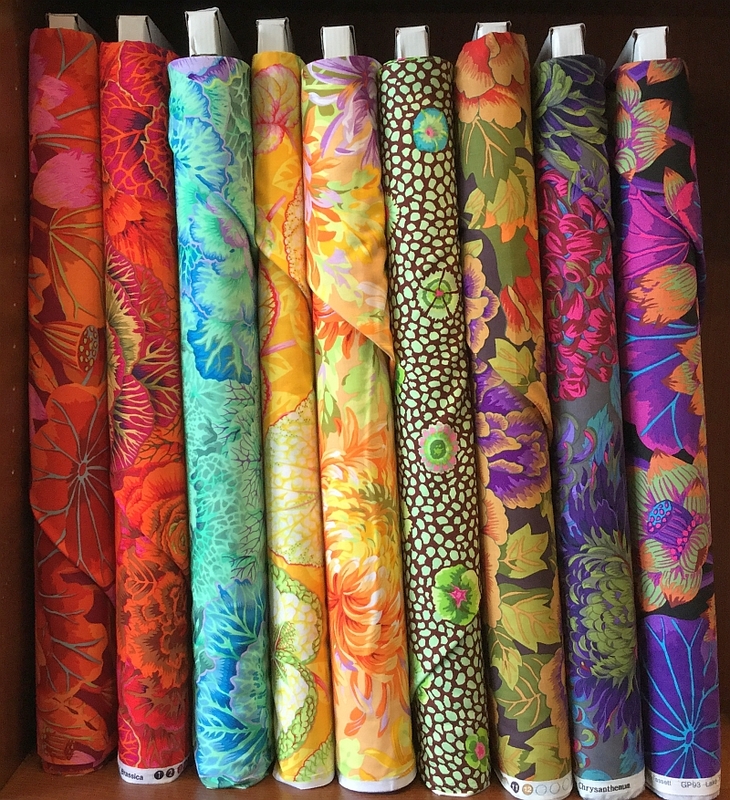 Crow Sew - The next scheduled meeting at the Crow will be on Wednesday, June 21st at 10am.